notch the corner for write protect! that was launched at the 1964 NY World's Fair! About the size of a typewriter, it used a wire-loop delay line for all memory! so it flipped around for a 2nd program. I used one briefly at Ryan Jr High School, preferring the "more modern" Compucorp 025 Educator. Here's a site just about the 101. 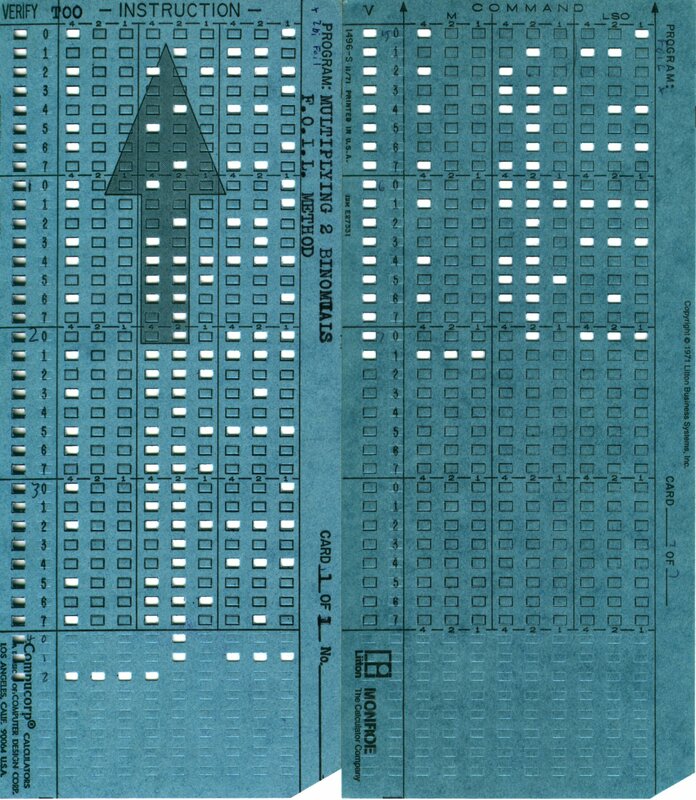 Long long before Florida's hanging chad butterfly ballots, we used stylus punched cards for programmable calculators such as the Compucorp 025 Educator (or Monroe version). 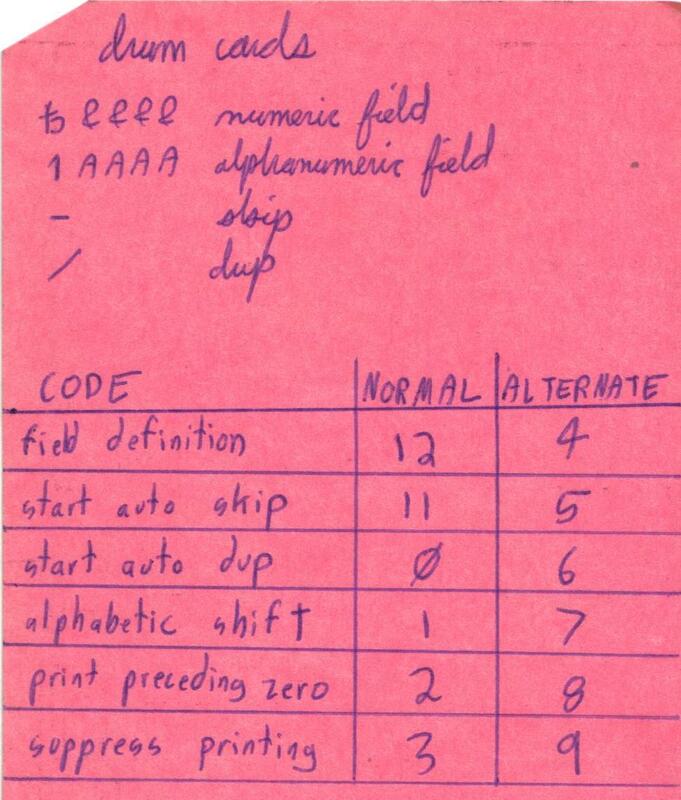 How many punched cards fit in a flash drive? and read by dialup RJE terminal (card reader, printer, modem). 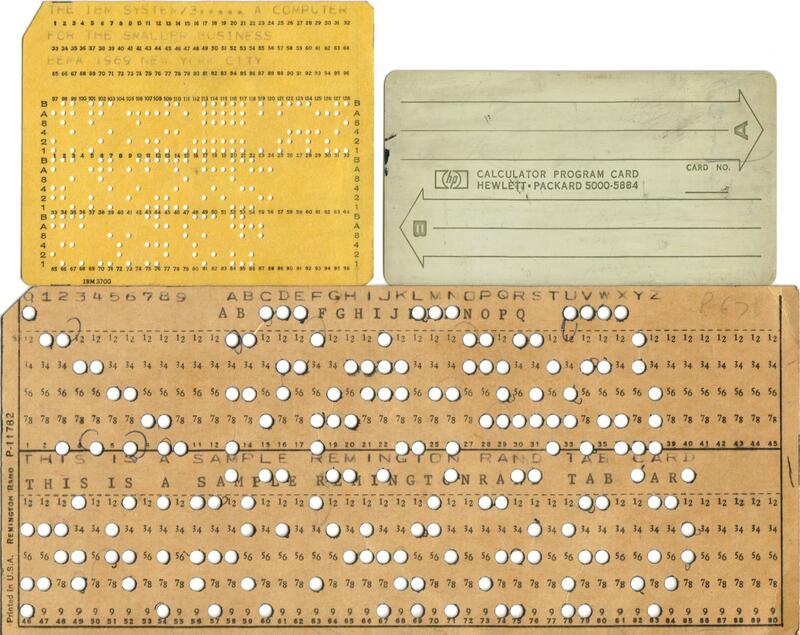 A plastic punched card from American Express, probably didn't really work. My dad (ab)used the keypunch multipunch feature! a character code which is not assigned to any character, and so is usable as end-of-string. 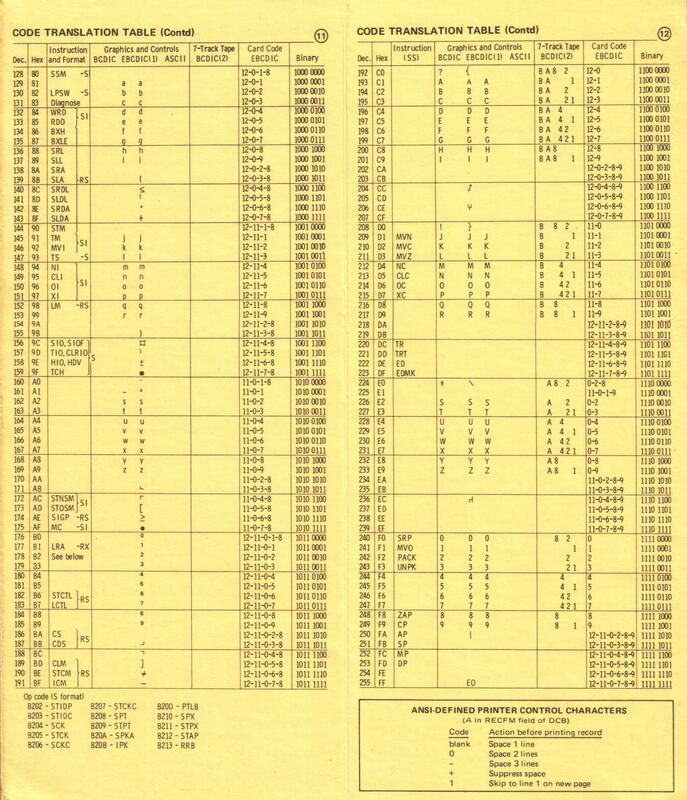 Unicode is a 16-bit character code intended to cover all of the world's writing systems, real or imaginary. I first learned of the Zigamorph when using WATFIV. It allows a comment on the same card as a statement. 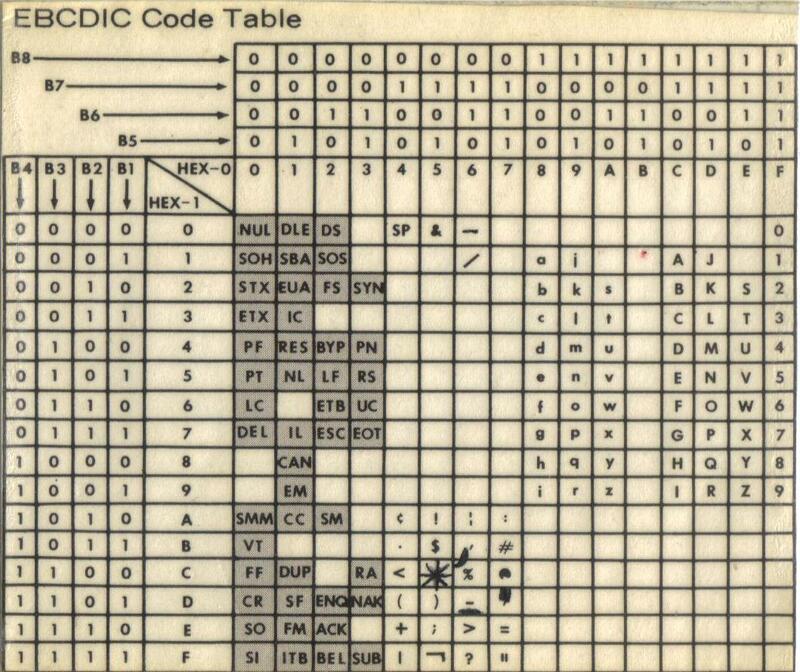 A card code compression tip: there's only ONE punch in 1-7 at any time. 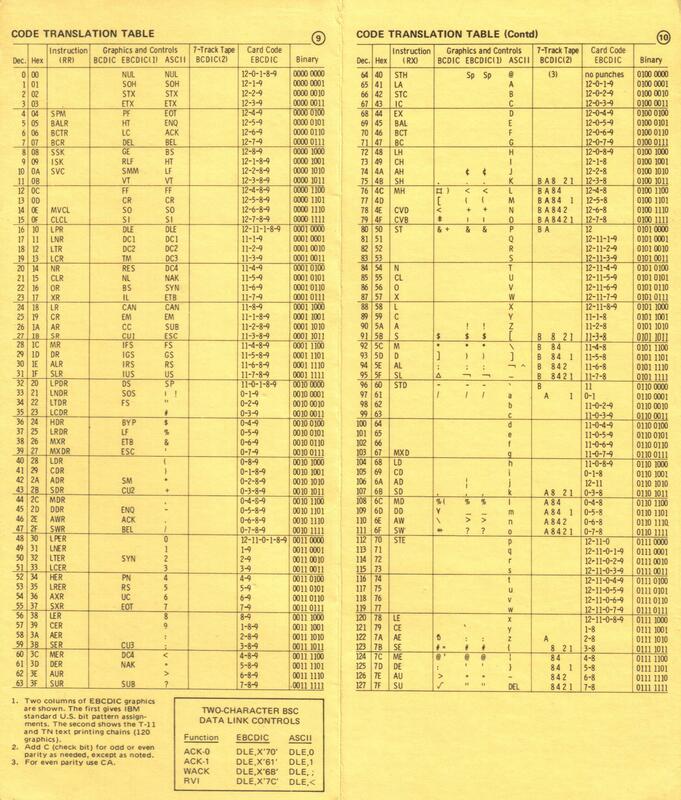 54: 16 bit words in a packed format on the 12 row card. See my other page for more details. 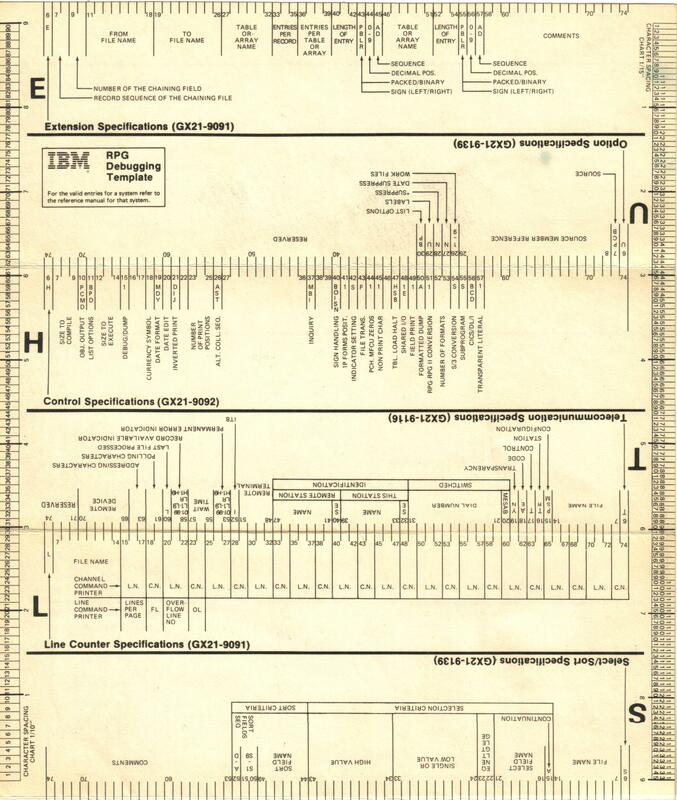 Most IBM reference cards were cardboard. This one was laminated for repeated folding and handling. 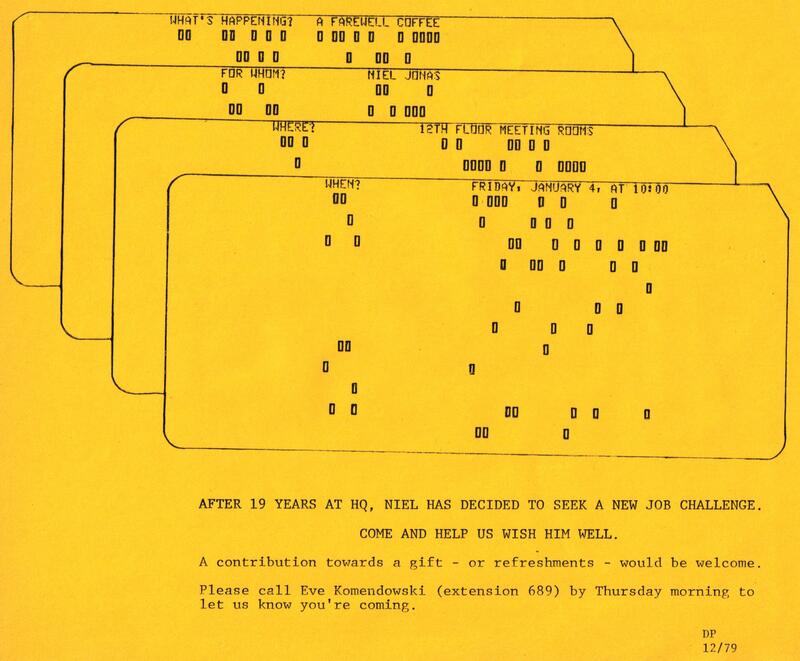 so these templates were held against the card to translate them back to the specific statement. 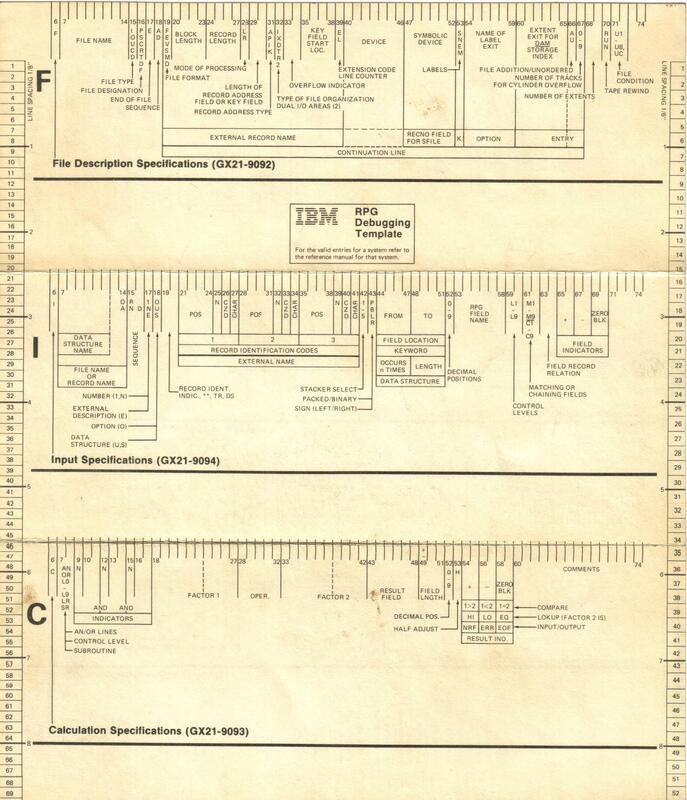 The IBM System/360 Reference Data "Green Card"
but for all mainframe users with reference charts and data formats. 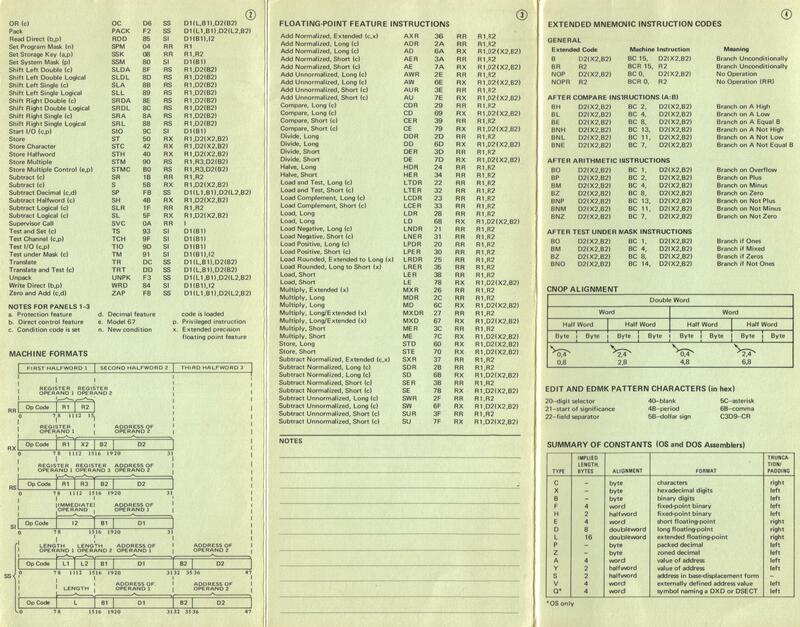 but moved to the library and environment (such as I/O and formatting). 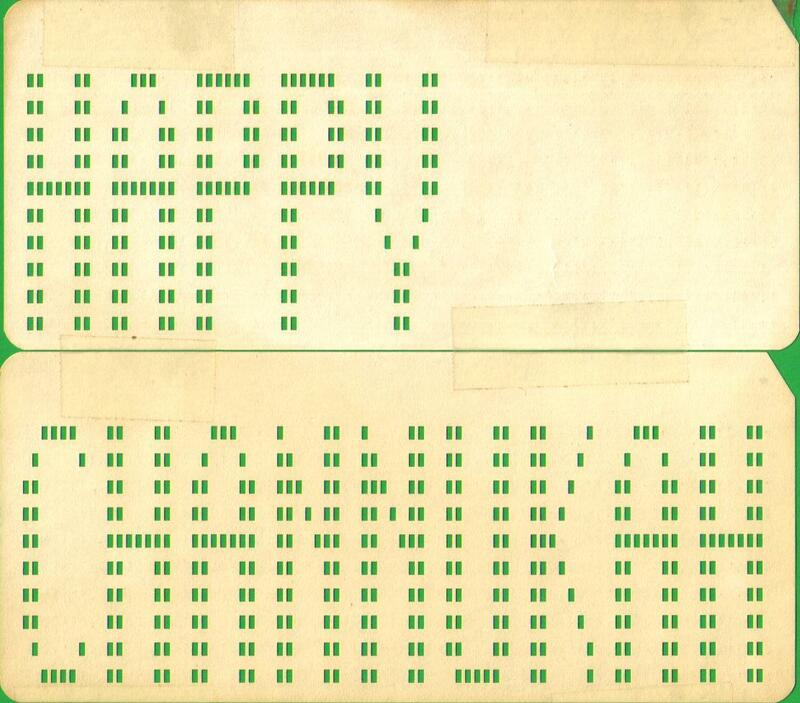 Block lettering along paper tape was fun for banners and tape identification. I did the 7x7 "Welcome" in English and Hebrew on a PDP8/e via a BASIC program. 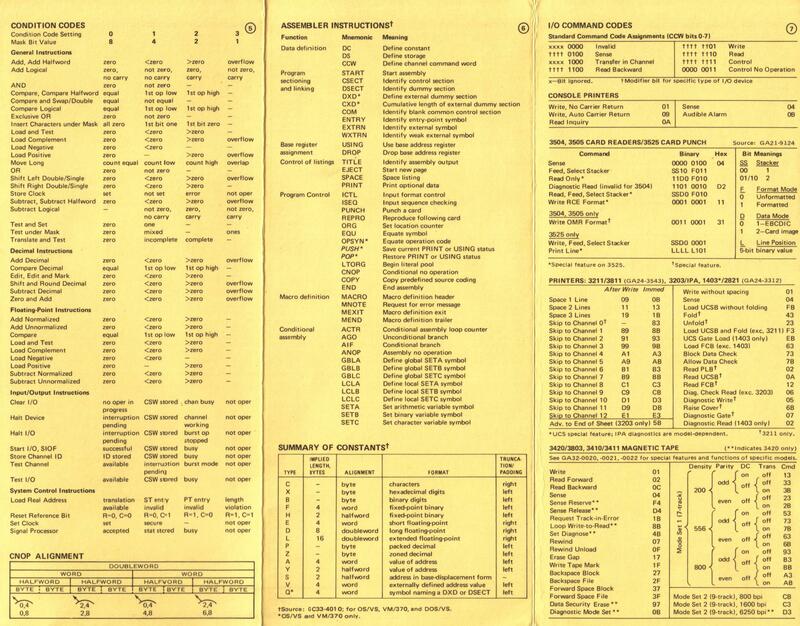 (6 lines per inch x 11 inches). It was glued into a loop and defined the 12 ANSI form-control-vertical tabs. 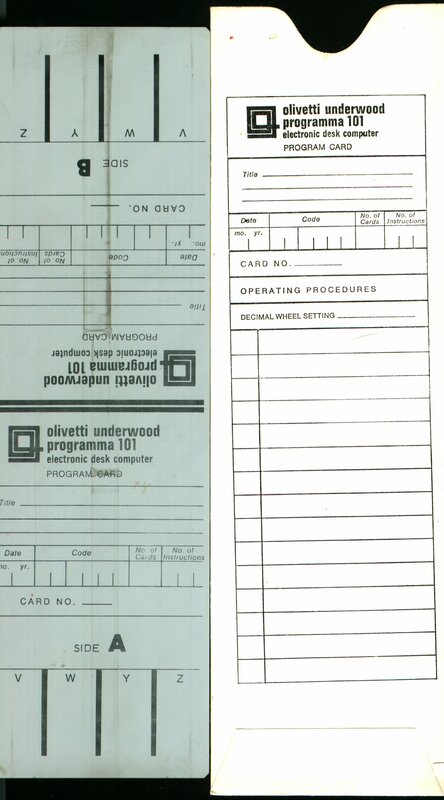 Channel 1 was always for top of form.